Tyler booked her Lethbridge high school graduation portraits many months in advance so I’ve been looking forward to them quite some time! I love seeing the dresses graduates choose for their big day. This important article of clothing always shows so much personality. Tyler’s photoshoot was a great trial run for her actual grad, giving her a chance to test out hair and makeup and break in her shoes. If you can walk in high heels over the soft ground of a park, walking inside a building should be a breeze! She chose such a gorgeous red dress for her grad with a high neck sparkly detail, open back, and leg slit on one side. It looked like a gown made for fancy cocktail parties! 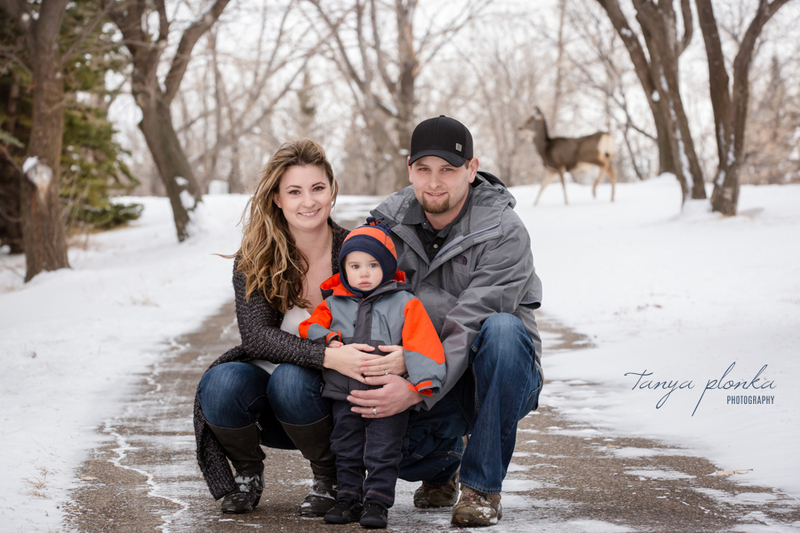 I rang in the new year with west Lethbridge winter family photography of this lovely couple. 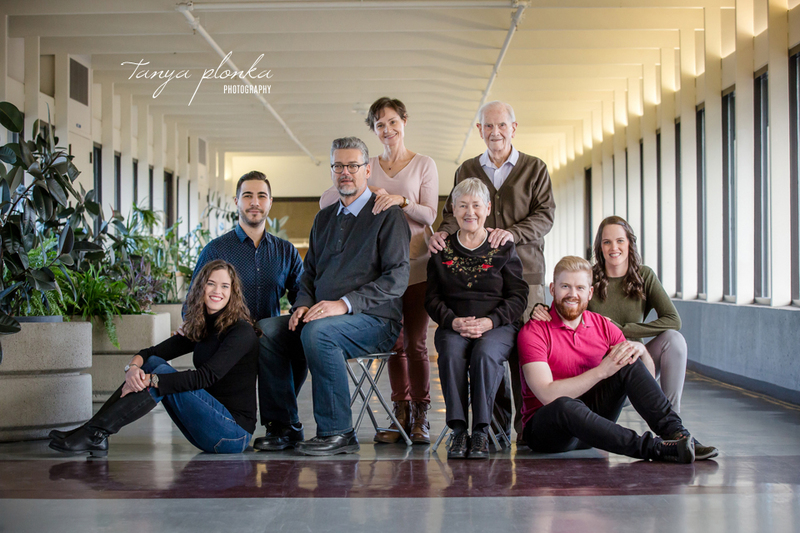 I photographed their engagement session a few years ago and they’ve now added little Nathan to the family! Nathan is such a huge smiler. Any silly sound and face I made behind the camera had him squealing with delight! 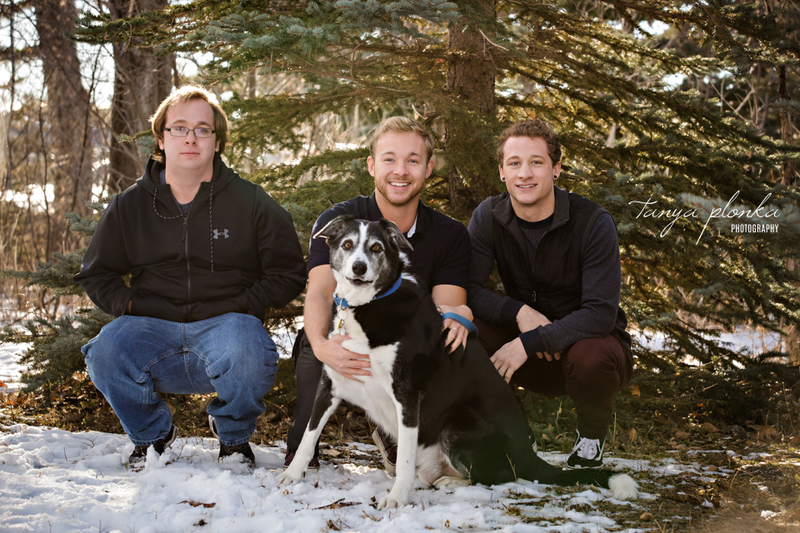 We timed our session perfectly between the beautiful snowfall and wind that carried it away. A herd of deer were enjoying Aperture Park during our visit and Nathan loved watching them. One even joined our session! I’m so happy with all these puppies I got to play with this month! 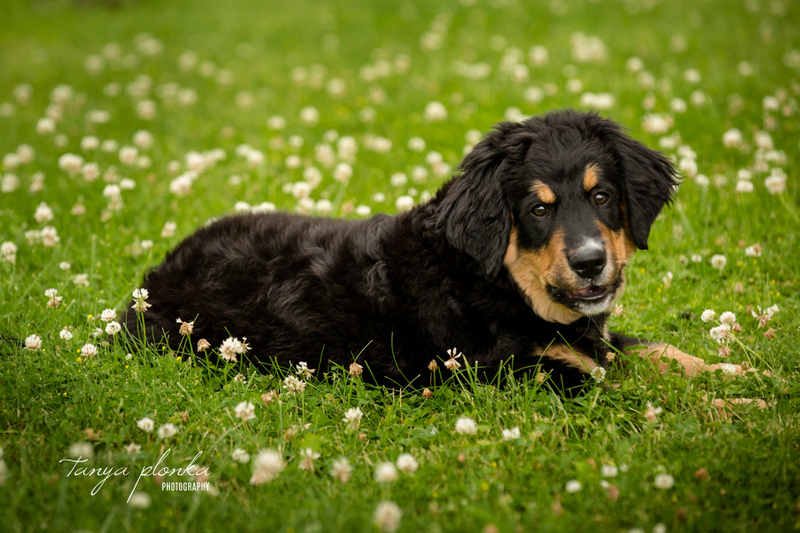 Timber joined me with his human mom for his Lethbridge Burnese Mountain Dog puppy photos. He’s also part Golden Retriever, but the Burnese seems to be taking over. Timber is already larger than most small breed dogs, but a tiny fraction of the final size he will become! I could not get over how well behaved he is for a puppy. That is largely thanks to the training he is taking, but he’s also such a gentle soul. He was happy to quietly explore all the new smells at the park and dig through the grass for fun clumps of leaves to play with.